In addition to a Halloween treat bag, your kid also needs a spooky Halloween jack o lantern for her trick-and-treating in Halloween night. Like the idea? Let’s have a look. This is a well-crafted jack o lantern handmade by TurquoiseBun, a handicraft studio from Greece. The lantern is available in three sides: 3 inches diameter, 6 inches and 7 inches. As we can see from the images, the Halloween lantern looks like being craved from a pumpkin, but it’s handmade from polymer clay and finished with acrylic paint for exquisite detailing and vivid colors. Meanwhile, it’s treated with varnish for a long-lasting construction and enhanced texture. 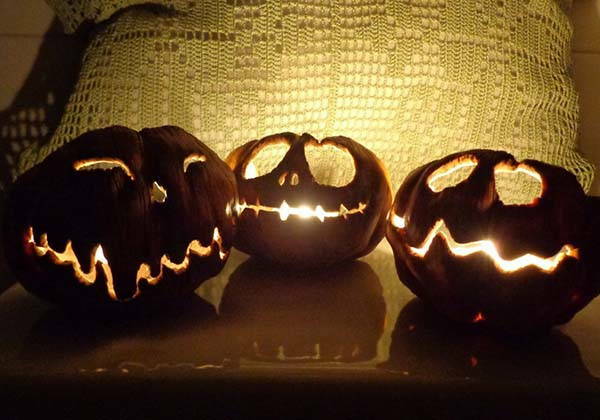 The jack o lantern is designed to hold a Halloween candle. With the carved ghost-like face and inside light, the lantern is perfect to emit creepy atmosphere, and it comes in three optional styles to meet different personal preferences. Furthermore, it serves as a candle holder, so you can use one or more the holders and candles to light up a space dory a spooky tint. 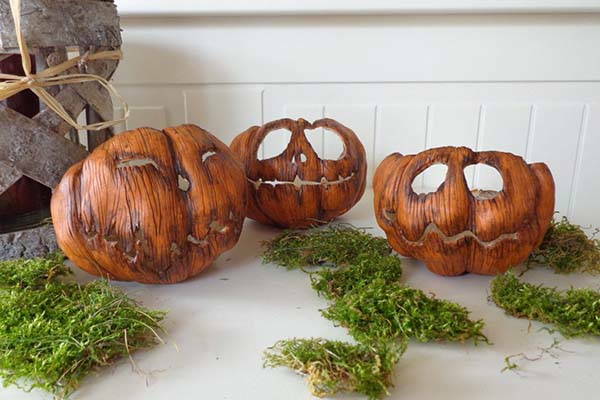 The handmade Halloween jack o lantern is priced at $18.05/$36.10/$54.15 USD. If you’re interested, jump to Etsy for its more details.